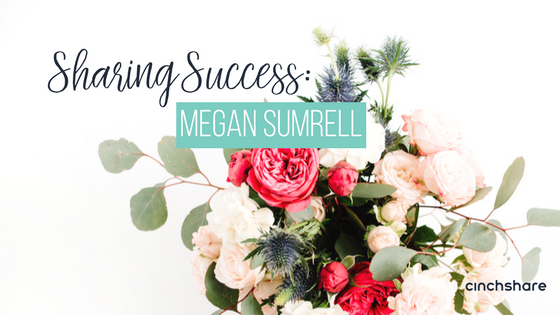 Megan Sumrell is all about empowering women by making their lives easier. And she does it in a unique way — by sharing technology that she created. The self-proclaimed “career software nerd” from North Carolina recently retired after 22 years as a software quality architect. She has direct sales to thank for that — and for fantastic skin, too. It only took three years with Rodan & Fields for Megan to reach the top 2 percent of the skincare company and retire from her day job. She has a team of over 130 consultants, which is responsible for more than $580,000 in sales in 2017, and she just earned the company’s top incentive trip for the third year in a row. “I could not have done it without myBeeHyve to run my business,” she said of her creation. 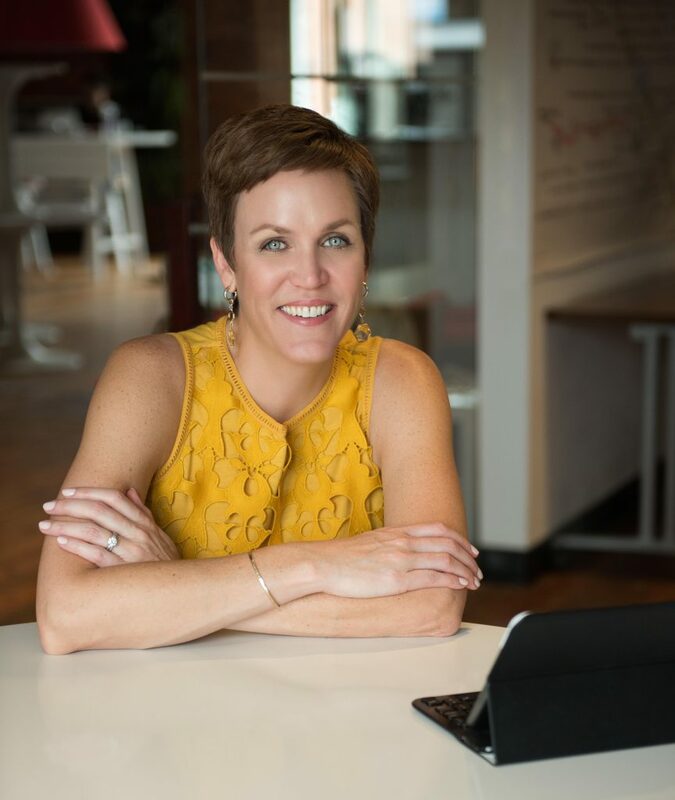 She also credits CinchShare with assisting in how she manages both the launch of her new company and growth of her R&F business. The idea was born through a partnership with Jennifer Turnage, who is on Megan’s R&F team and with whom she worked at the same software company for several years. The two direct sales leaders who had proven themselves in business, technology and network marketing created myBeeHyve to change the way network marketers manage contacts, connect with prospects and build their business. It’s innovative in that it keeps things simple. Direct sellers and small-business entrepreneurs know the lists of people to follow up with get longer, and it only gets more challenging to keep up with. Names include prospective clients and team members, not to mention tending to the needs and questions of current customers and team members. myBeeHyve launched publicly at the beginning of August 2017. Megan said she had built a robust Excel application to run her R&F business, which worked when she sat at her computer all day as a software architect. But once she retired, she needed her list and contacts at her fingertips, wherever she might be at any given moment. Sounds like another accessible mobile program that is designed to make the lives of direct sellers and entrepreneurs easier — CinchShare. CinchShare also completely changed how she hosts online parties for R&F. It went from the chaos of looking at multiple devices and feeling like an air-traffic controller to relaxing on the couch as scheduled posts go out. Megan said she and Jennifer also use CinchShare to manage their social media presence for myBeeHyve. They plan at the beginning of the week what information to share with their community and across their channels. And like CinchShare, these leaders didn’t want to just build great software. “We also wanted to build a great community, get like-minded individuals together and share best practices about managing your lists, using technology,” Megan said. The concept of a beehive, which is its own self-sufficient ecosystem, spoke to Megan and Jennifer. The different layers of the hive they felt also represented what they were seeking to create. The entrepreneurs wanted to make technology accessible, mobile and easy to use. They consider themselves a CRM for MLM. Translation: that’s a customer relationship management system for multi-level marketing. myBeeHyve is mobile, accessible from any device and steers clear of distracting bells and whistles. Megan calls it “elegantly simple,” in fact, allowing the user to stay focused on the activities that grow the business. Megan’s 7-year-old daughter, Grace, helps mom test new features. She’s the official “Queen Bee in training,” according to mom. Looking for an example of myBeeHyve’s success? Start with the co-founder. She’s about to take an awesome FREE VIP trip to the 5-star Ritz Carlton in Cancun and bring her husband, earned through her direct sales success. And things are more organized overall thanks in part to being able to manage her businesses contacts through myBeeHyve and schedule posts to social media through CinchShare. “I’m no longer finding Post-it notes in my minivan that I wrote two months ago,” Megan said laughing. NOTE: Sharing Success is an ongoing series of stories where we highlight CinchShare users — the people utilizing CinchShare to grow their businesses while enjoying more of life.